The classic emerald stud earring gets a makeover with this oval cut Colombian emerald. 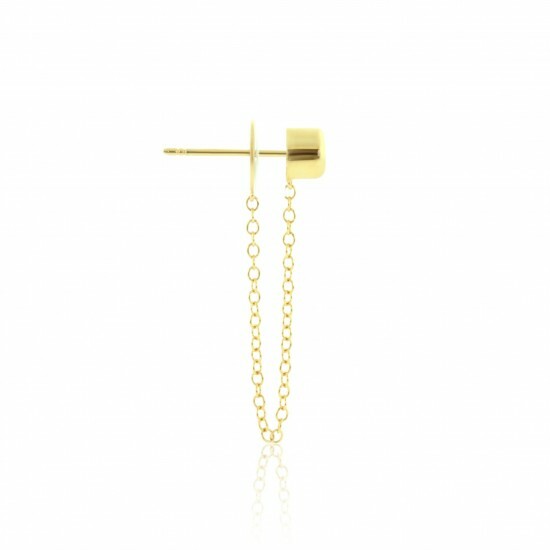 This single stud earring raises the coolness factor even more. The 0.34 carat natural emerald is mounted in a bezel setting to ensure your gem will not be easily scratched, damaged or prone to fall out. A comfortable post with a push back clip make the earring secure. 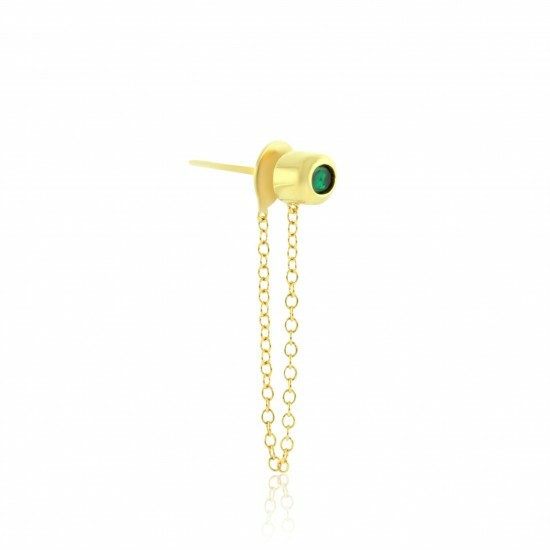 A delicate chain from the base of the emerald stud connects to the push back clip and sways gracefully beneath the earring. The earring, chain and back are 18K yellow gold. Gold weight: 1.58 grams.